This article is about the Eurasian bird. For the North American bird, see Northern flicker. For other uses, see Yellowhammer (disambiguation). The yellowhammer (Emberiza citrinella) is a passerine bird in the bunting family that is native to Eurasia and has been introduced to New Zealand and Australia. Most European birds remain in the breeding range year-round, but the eastern subspecies is partially migratory, with much of the population wintering further south. The male yellowhammer has a bright yellow head, streaked brown back, chestnut rump and yellow underparts. Other plumages are duller versions of the same pattern. The yellowhammer is common in open areas with some shrubs or trees, and forms small flocks in winter. Its song has a rhythm like "A little bit of bread and no cheese". The song is very similar to that of its closest relative, the pine bunting, with which it interbreeds. Breeding commences mainly in April and May, with the female building a lined cup nest in a concealed location on or near the ground. The 3–5 eggs are patterned with a mesh of fine dark lines, giving rise to the old name for the bird of "scribble lark". The female incubates the eggs for 12–14 days prior to hatching, and broods the altricial downy chicks until they fledge 11–13 days later. Both adults feed the chick in the nest and raise two or three broods each year. The nest may be raided by rodents or corvids, and the adults are hunted by birds of prey. Yellowhammers feed on the ground, usually in flocks outside the breeding season. The diet is mainly seeds, supplemented by invertebrates in the breeding season. Changes to agricultural practices have led to population declines in western Europe, but its large numbers and huge range mean that the yellowhammer is classed as being of least concern by the International Union for Conservation of Nature (IUCN). This conspicuous yellow bird has inspired poems by Robert Burns and John Clare, and its characteristic song has influenced works by Beethoven and Messiaen. The children's writer Enid Blyton helped to popularise the standard English representation of the song. The yellowhammer was described by Linnaeus in his Systema Naturae in 1758 under its current scientific name. Emberiza is derived from the Old German embritz, a bunting, and citrinella is the Italian for a small yellow bird. The English name is thought to have come from ammer, another German word for a bunting, and was first recorded in 1553 as yelambre. The yellowhammer is a large bunting, 16–16.5 cm (6.3–6.5 in) long, with a 23–29.5 cm (9.1–11.6 in) wingspan; it weighs 20–36.5 g (0.71–1.29 oz). The male of the nominate subspecies E. c. citrinella has a bright yellow head, heavily streaked brown back, rufous rump, yellow underparts, and white outer tail feathers. The female is less brightly coloured, and more streaked on the crown, breast and flanks. Both sexes are less strongly marked outside the breeding season, when the dark fringes on new feathers obscure the yellow plumage. The juvenile is much duller and less yellow than the adults, and often has a paler rump. Traditional farmland provides good habitat for nesting and feeding. The yellowhammer breeds across Eurasia between the 16–20 °C (61–68 °F) July isotherms. It is the commonest and most widespread European bunting, although it is absent from high mountains, Arctic regions, the western Netherlands, most of Iberia and Greece, and low-lying regions of other countries adjoining the Mediterranean Sea. It breeds in Russia east to Irkutsk, and in most of Ukraine. The Asian range extends into northwest Turkey, the Caucasus and northern Kazakhstan. Most European yellowhammers winter within their breeding range, only the far north being vacated, although some birds move south of their breeding range in Spain, Italy and other Mediterranean countries. Distances travelled can be up to 500 km (310 mi) for northern birds. Asian birds are more strongly migratory, deserting much of the north to winter in Iraq, Iran and southern Central Asia. The yellowhammer has occurred as a vagrant in the United Arab Emirates, Egypt, Kuwait, Morocco, Malta, the Himalayas (winter vagrant from northern Afghanistan to central Nepal), the Balearic Islands, Iceland and the Faroes. Populations of yellowhammer have also been introduced to the Falkland Islands, and South Africa. Breeding normally starts in early May, but often in April in the south of the range. Yellowhammers are monogamous and breed when aged one year. The males establish territories along hedges or woodland fringes and sing from a tree or bush, often continuing well into July or August. The male displays to the female by raising his wings and running towards her. The nest is built by the female on or near the ground, and is typically well hidden in tussocks, against a bank or low in a bush. It is constructed from nearby plant material, such as leaves, dry grass and stalks, and lined with fine grasses and sometimes animal hair. It is 11.5–13 cm (4.5–5.1 in) across with a cup 4–4.5 cm (1.6–1.8 in) deep. The clutch is usually three to five whitish eggs, typically patterned with a network of fine dark lines. 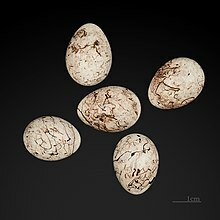 The eggs average 21 mm × 16 mm (0.83 in × 0.63 in) in size and weigh 2.9 g (0.10 oz), of which 6% is shell. The female incubates the eggs for 12–14 days to hatching, and broods the altricial downy chicks until they fledge 11–13 days later. Both adults feed the chick in the nest and two or three broods are raised each year. The yellowhammer adds invertebrates to its diet in the breeding season, particularly as food for its growing chicks. A wide range of species is taken, including springtails, grasshoppers, flies, beetles, caterpillars, earthworms, spiders and snails. During the first few days, chicks are exclusively fed invertebrate prey, however from day three they are also fed cereal grains, which the chicks can digest efficiently. It is thought that this is intentional by the parents to allow the nestlings to adjust their physiology to eating seed. Predators of the yellowhammer include the sparrowhawk, northern goshawk, lesser spotted eagle and hobby. It is not a significant host of the common cuckoo, a brood parasite, although as a ground-nesting bird its eggs and chicks are vulnerable to predation from small mammals such as mice and other rodents. Nests are also raided by crows, Eurasian jays and Eurasian magpies. Predation accounted for more than 60% of nest failures in a 2012 survey in Germany. The International Union for Conservation of Nature (IUCN) estimates the European population of the yellowhammer to be from 54–93 million individuals, suggesting a Eurasian total of 73–186 million birds. Although the population appears to be in a decline, the decrease is not rapid enough to trigger the IUCN vulnerability criteria. The large numbers and huge breeding range of about 12.9 million km2 (5 million sq mi), mean that this bunting is classified by the IUCN as being of least concern. Olivier Messiaen often used birdsong as an inspiration for his music, and the yellowhammer features in Chronochromie, Catalogue d'oiseaux, La fauvette des jardins and Méditations sur le mystère de la Sainte Trinité, appearing in four movements of the last piece. ^ a b BirdLife International (2016). "Emberiza citrinella". The IUCN Red List of Threatened Species. 2016: e.T22720878A89289181. Retrieved 24 December 2018. ^ a b c d Tietze, Dieter Thomas; Wassmann, Christine; Martens, Jochen (2012). "Territorial song does not isolate Yellowhammers (Emberiza citrinella) from Pine Buntings (E. leucocephalos)" (PDF). Vertebrate Zoology. 62 (1): 113–122. ^ Linnaeus (1758) p. 177. ^ Jobling (2010) p. 145. ^ Jobling (2010) p. 110. ^ a b c d e f g h Snow & Perrins (1998) pp. 1648–1651. ^ a b c d e f g h i Olsson et al. (1995) pp. 107–110. ^ Olsson et al. (1995) p. 24. ^ Olsson et al. (1995) pp. 111–114. ^ Porter & Aspinall (2011) p. 208. ^ Brown, Georgia (12 January 2017). "Lost British birdsong discovered in New Zealand birds". The Guardian. Guardian News and Media Limited. Retrieved 13 January 2017. ^ Caro, Samuel P; Keulen, Christine; Poncin, Pascal (2009). "Song repertoires in a Western European population of Yellowhammers Emberiza citrinella". Acta Ornithologica. 44 (1): 9–16. doi:10.3161/000164509x464830. ^ Baker, Myron Charles; Bjerke, Tore K; Lampe, Helene U; Espmark, Yngve O (1987). "Sexual response of female Yellowhammers to differences in regional song dialects and repertoire sizes". Animal Behaviour. 35 (2): 395–401. doi:10.1016/S0003-3472(87)80263-4. ^ Rasmussen (2005) p. 552. ^ Oliver (1955) p. 635. ^ a b Lever (2005) p. 268. ^ a b c d e "Yellowhammer Emberiza citrinella [Linnaeus, 1758]". Bird Facts. British Trust for Ornithology. Retrieved 27 April 2014. ^ "European Longevity Records". EURING. Retrieved 15 April 2014. ^ Orłowski, G.; Wuczyński, A.; Karg, J.; Grzesiak, W. (2017). "The significance of seed food in chick development re-evaluated by tracking day-to-day dietary variation in the nestlings of a granivorous passerine". Ibis. 159 (1): 124–138. doi:10.1111/ibi.12410. ^ Jedrzejewska & Jedrzejewski (1998) p. 257. ^ Jedrzejewska & Jedrzejewski (1998) p. 250. ^ Jedrzejewska & Jedrzejewski (1998) p. 272. ^ Jedrzejewska & Jedrzejewski (1998) p. 282. ^ Ludwig, Martin; Schlinkert, Hella; Holzschuh, Andrea; Fischer, Christina; Scherber, Christoph; Trnka, Alfréd; Tscharntke, Teja; Batáry, Péter (2012). "Landscape-moderated bird nest predation in hedges and forest edges" (PDF). Acta Oecologica. 45: 50–56. doi:10.1016/j.actao.2012.08.008. Archived from the original (PDF) on 6 May 2014. ^ "Distribution of British fleas". Natural History Museum. Archived from the original on 3 March 2016. Retrieved 25 April 2014. ^ Atkinson et al. (2008) p. 401. ^ Sundberg, Jan (1995). "Parasites, plumage coloration and reproductive success in the Yellowhammer, Emberiza citrinella". Oikos. 742 (2): 331–339. doi:10.2307/3545664. JSTOR 3545664. ^ Dunn, Jenny C; Goodman, Simon J; Benton, Tim G; Hamer, Keith C (2013). "Avian blood parasite infection during the non-breeding season: an overlooked issue in declining populations?" (PDF). BMC Ecology. 13 (30): 1–9. doi:10.1186/1472-6785-13-30. PMC 3848531. PMID 24011390. ^ "BirdLife International Species factsheet: Yellowhammer Emberiza citrinella ". BirdLife International. Retrieved 24 April 2014. ^ Kingston, N. "Checklist of protected & rare species in Ireland" (PDF). National Parks & Wildlife Service. Archived from the original (PDF) on 28 April 2014. Retrieved 27 April 2014. ^ Komdeur, Jan; Hammers, Martin "Failed introductions: finches from outside Australia" in Prins & Gordon (2014) p. 330. ^ a b Cocker & Mabey (2005) pp. 460–461. ^ Clare (1835) p. 79. ^ Haughton et al. (1994) p. 139. ^ Blyton (2008) p. 164. ^ a b Bowden, Sylvia (2008). "The theming magpie: the influence of birdsong on Beethoven motifs". The Musical Times. Musical Times Publications Ltd. 149 (1903): 17–35. doi:10.2307/25434536. JSTOR 25434536. ^ Thayer (1991) p. 437. ^ Dingle & Fallon (2013) pp. 155–158. ^ a b Shenton (2008) pp. 61–63. ^ Bruhn (2008) p. 144. ^ Dingle & Fallon (2013) pp. 170–171. Atkinson, Carter T; Thomas, Nancy J; Hunter, D Bruce (2008). Parasitic Diseases of Wild Birds. London: Wiley-Blackwell. ISBN 978-0-8138-2081-1. Blyton, Enid (2008) . Enid Blyton's Nature Lover's Book. Chicago: Evans Brothers. ISBN 978-0-237-53568-1. Bruhn, Siglind (2008). Messiaen's Interpretations of Holiness and Trinity: Echoes of Medieval Theology in the Oratorio, Organ Meditations, and Opera. Hillsdale, New York: Pendragon Press. ISBN 978-1-57647-139-5. Clare, John (1835). The Rural Muse. London: Whittaker & Co.
Dingle, Christopher; Fallon, Robert (2013). Messiaen Perspectives 2: Techniques, Influence and Reception. Farnham, Surrey: Ashgate. ISBN 978-1-4724-1518-9. Haughton, Hugh; Phillips, Adam; Summerfield, Geoffrey, eds. (1994). 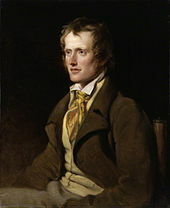 John Clare in Context. Cambridge: Cambridge University Press. ISBN 978-0-521-44547-4. Lever, Christopher (2005). Naturalised Birds of the World (Poyser Monographs). London: Poyser. ISBN 978-1-4081-2825-1. Oliver, Walter Reginald Brook (1955). New Zealand Birds. Auckland: A H & A W Reed. OCLC 1575647. Olsson, Urban; Curson, Jon; Byers, Clive (1995). Buntings and Sparrows A Guide to the Buntings and North American Sparrows. Robertsbridge, East Sussex: Pica Press. ISBN 978-1-873403-19-8. Porter, Richard; Aspinall, Simon (2011). Birds of the United Arab Emirates. London: Christopher Helm. ISBN 978-1-4081-5257-7. Prins, Herbert H T; Gordon, Iain J, eds. (2014). Invasion Biology and Ecological Theory: Insights from a Continent in Transformation. Cambridge: Cambridge University Press. ISBN 978-1-107-03581-2. Rasmussen, Pamela C; Anderton, John (2005). Birds of South Asia. The Ripley Guide. 2. Washington, D C & Barcelona: Smithsonian Institution & Lynx Edicions. Shenton, Andrew (2008). Olivier Messiaen's System of Signs: Notes Towards Understanding His Music. Farnham, Surrey: Ashgate. ISBN 978-0-7546-6168-9. Thayer, Alexander Wheelock; Forbes, Elliot, eds. (1991). Thayer's Life of Beethoven. 1. Princeton, New Jersey: Princeton University Press. ISBN 978-0-691-02717-3. Wikimedia Commons has media related to Emberiza citrinella.